We use email and other online services so much that it's all but inevitable that our accounts will be hacked. Having your private accounts invaded can be confusing and inconvenient, but it's possible to control the damage and prevent future hacking attempts. Below, you will find out how to regain control of your account while minimizing future risk. Before you can do anything else, you'll need to see how much damage is done. Log into your email account; if the hacker changed the password, click the "Forgot Password?" link or its equivalent. Once you have access to your account, change your password right away. Use a combination of numbers, cases and characters. Instructions on password security are coming up later in this guide, but for right now, preventing hackers from re-accessing your account is the most important thing you can do. Once you have changed your email password, you should make the change on other accounts that share that password - especially if you use your email address as a username on those accounts. Check your inbox and "trash" folder for password resetting emails that you didn't request; the hacker could have tried to change other sites' passwords using your email address. Some hackers access email accounts to launch attacks on those on your contacts list, using your email address to send phishing or spam emails that trick friends into providing personal information. It can be hard to tell if your account was used in this way, but checking your inbox for replies can help you determine if any of your contacts were targeted. If you do find spam, let the person know that you didn't send the email. Once your email account is secure, and you've dealt with the consequences of the hacking attempt, you should ensure that you can still access your account via the usual channels. If you use Windows Mail, Outlook or another similar program, you'll have to change the passwords on those apps. Every program is different, but for most, you'll have to get into the "Settings" menu to make the change. The risk of email hacking is increasing, but there are preventive steps you can take. 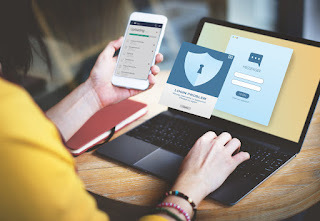 Choosing a strong password is one of the easiest ways to safeguard your account; generally speaking, the longer the password, the more secure it is. Use a mix of cases, characters and numbers to increase the strength and complexity of your password, and don't use real words. Above all, NEVER use the same password across multiple sites. Long, complicated passwords can be hard to remember, and services such as 1Password and LastPass can help you store your passwords securely. Along with strong passwords, two-factor authentications are often used to secure email and other accounts. In addition to your password and username, you can use a code created by an app or a card reader at the time of each login. The code changes rapidly, and hackers cannot access it - which makes your account much more secure. Most email providers offer two-factor authentication free of charge, and it's worthwhile to use this security measure if it's available. Your email account is an important part of your online identity, and you should protect it just as you would any of your other personal information. Cut your exposure risk by being discreet, smart and sophisticated in your approach to email security, and keep an eye out for things that may seem a bit odd. By knowing your damage control choices, it will be easier to control that damage when or if it occurs.